Moving quickly on a measure to make college campuses safer, the Senate Judiciary Committee unanimously approved a proposal I sponsored that, if enacted, will be a comprehensive rewrite of the state’s antihazing laws. At a news conference on March 21 in Bellefonte, I joined Jim and Evelyn Piazza to introduce the legislation. The bill is named in memory of their son Tim, a 19-year old fraternity pledge and Penn State University sophomore, who died after consuming lethal amounts of alcohol and suffering multiple falls during a hazing ritual. The Piazzas have taken what is an unspeakable tragedy – their very personal heartbreak – and channeled it into pushing for what will be the most comprehensive antihazing law in the nation. Senate Bill 1090 increases penalties for all of those involved in hazing; requires schools to have policies and reporting procedures in place to stop hazing; and informs students and parents of what is happening on campus. It also establishes penalties on hazing for organizations such as fraternities and sororities. The bill now moves to the full Senate for consideration. I want this to be a model for establishing and strengthening antihazing laws nationwide. Just this week, the courts dismissed many of the criminal charges against those who were present when Tim died. This bill would give prosecutors the tools they need to punish those who irresponsibly put people in harm’s way. Students also would have information to make good choices about the organizations they consider joining as well as safeguards they need to make good decisions in times of distress. It is my hope that we can prevent future hazing-related tragedies by addressing prevention, enforcement and transparency. The state Senate recently approved a package of bills strengthening protections for victims of crime and ensuring that victims and their families are treated with respect and dignity by the criminal justice system. I strongly supported these bills, which are necessary to put the rights of victims on a level playing field with the rights of the accused and address the growing crime of domestic violence. Senate Bill 449 allows Magisterial District Judges to use a risk assessment tool when determining bail in domestic violence cases. (Tierne’s Law) This bill goes to the governor’s office for his possible signature. 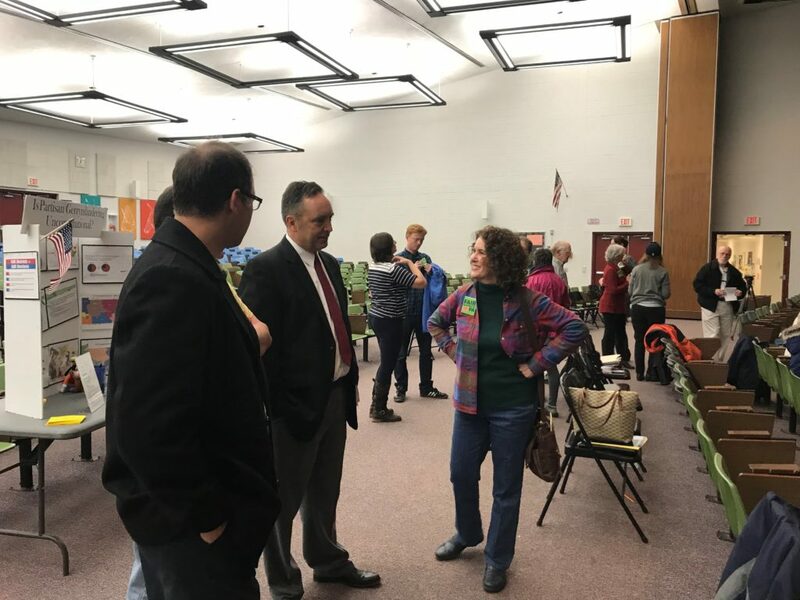 I recently attended the Fair Districts PA town hall meeting in State College. Representatives from California shared with the audience their model of drawing Congressional districts. I was able to talk with people who are passionate about changing our system. It was fascinating to hear about the California system. I look forward to continuing this process as the next set of Congressional maps will need to be completed in 2021. Last summer, I had committed to examining how Congressional district maps are drawn in Pennsylvania. Redistricting normally takes place every 10 years, following the U.S. Census, to reflect population changes both nationally and within the state. The Senate State Government Committee held a hearing Tuesday. It lasted almost four hours but the information provided was invaluable. I encourage you to go to the committee website and watch some of the hearing. The redistricting bills currently before the Senate include: Senate Bill 22, Senate Bill 243, Senate Bill 464 and Senate Bill 767.